Windows 10 is packed with small tools and utilities that can help you become more productive, and one of these is the clock and calendar. 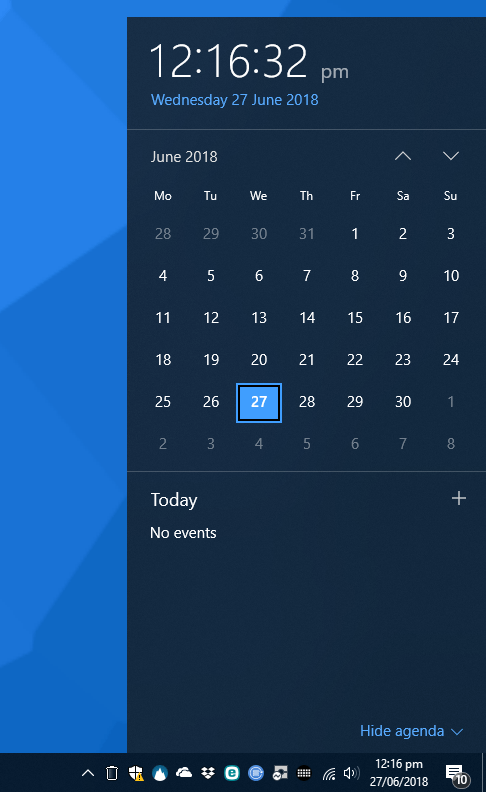 When you click the clock, which can be found on the right side of the desktop Taskbar, the clock and calendar will pop up from the bottom of your screen. You can use this check the current time and date, and look at other dates using the up and down arrows to the top right of the calendar. 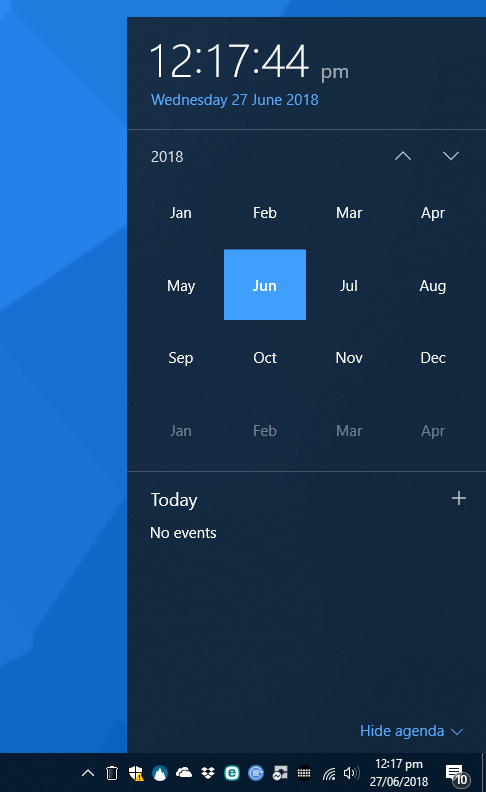 If you click the month and year the view will change, first allowing you to change directly to a different month in that year. Click the year in the top left again, and the view changes to each year in that current decade. Again the up and down arrows can be used to change the view by either a year or a decade at a time. When you find the year and month you want to view, you simply click on them to open the full calendar for that year and month. The clock is also capable of displaying up to two additional world clocks in addition to your local time. In Settings navigate to Time & Language and the Date & time settings will appear. If you scroll down the page you will see an Add clocks for different time zones link. 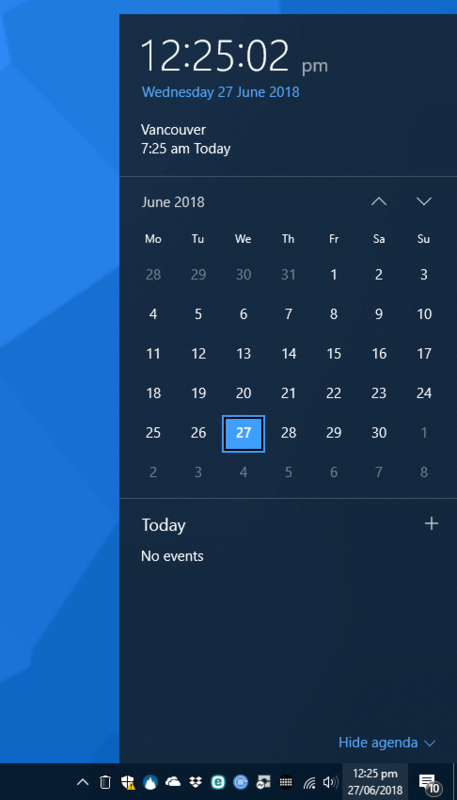 Clicking this allows you to add up to two more clocks to the calendar panel. You will also have noticed that the clock and calendar panel is capable of showing any calendar appointments you have set for the current day, or any other selected day. If you do not want this information displayed, click or tap the Hide agenda link in the bottom right corner of the calendar pop-up.